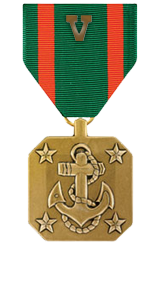 Professional achievement in the superior performance of his duties while serving as Platoon Corpsman, Weapons Platoon, Company K, 3d Battalion, 3d Marines, Regimental Combat Team 7, I Marine Expeditionary Force Forward, on 5 April 2006, in support of Operation IRAQI FREEDOM. During an improvised explosive device attack on a dismounted patrol in Haqlaniyah, Iraq, Hospitalman Mattson immediately treated the injuries of an urgent casualty that sustained severe wounds from the explosion. Without hesitation, Hospitalman Mattson responded to the casualty and moved him to a casualty collection point and administered triage. After applying a tourniquet and stabilizing the initial wounds, Hospitalman Mattson performed further assessment and treated additional wounds while providing the casualty with morphine injections. His ability to make critical and timely decisions undoubtedly saved the Marine’s life. Hospitalman Mattson’s initiative, perseverance, and total dedication to duty reflected credit upon him and were in keeping with the highest traditions of the Marine Corps and the United States Naval Service.